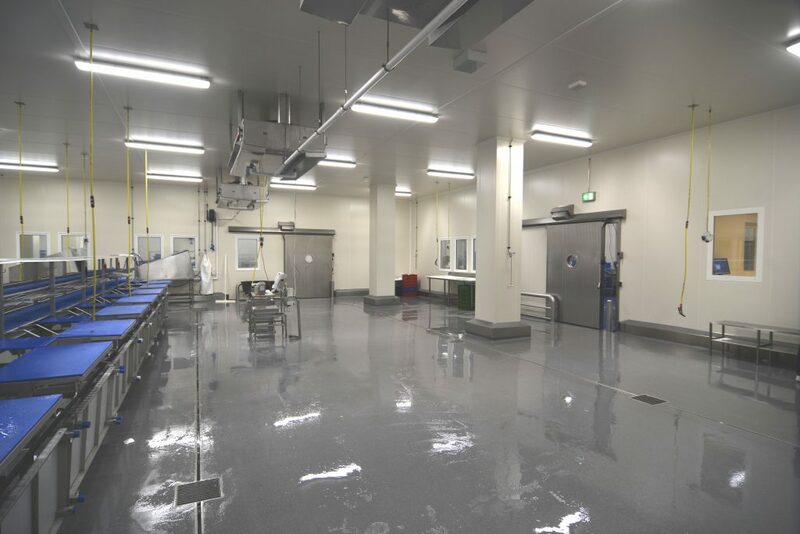 Would you like to know which high-profile modular insulated construction projects we implemented for national and international customers in sectors such as the food industry, wholesale, storage, life sciences and health? These are some of the sectors in which Roma Projects works. 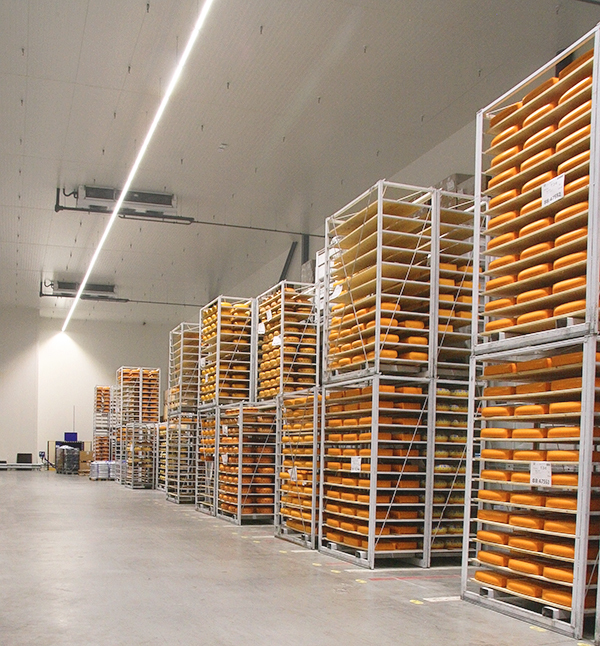 Optimum ripening and storage of cheese depend on more than just temperature control. Micro climate control with the correct ventilation and atmospheric humidity are crucial. The production of milk powder also brings a significant danger of fire and explosion, while measures to control vermin are also required. Risk management and strict requirements concerning hygiene and food safety require careful decisions. How do you solve this? Roma offers customised insulated construction for dairy producers such as cheesemakers. With a view to strict legislation and regulations, we have developed construction details for mounting our insulated building materials with concealed fittings. We also pay extra attention to the matching of suitable coatings of the insulated panels to the surroundings. 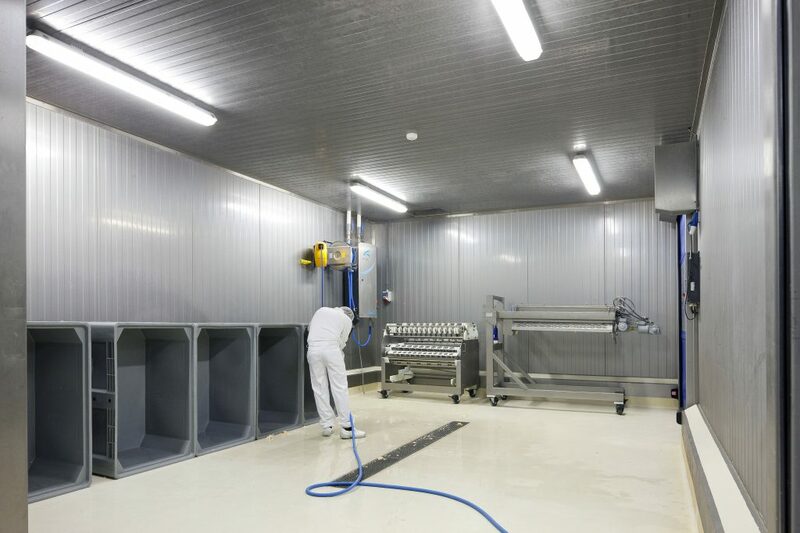 Based on our many years of expertise in building cheese factories and brine baths, we advise you in the choice of PVC foodsafe foil or stainless steel finish. Over the past years, both number and size of cheese warehouses have increased. 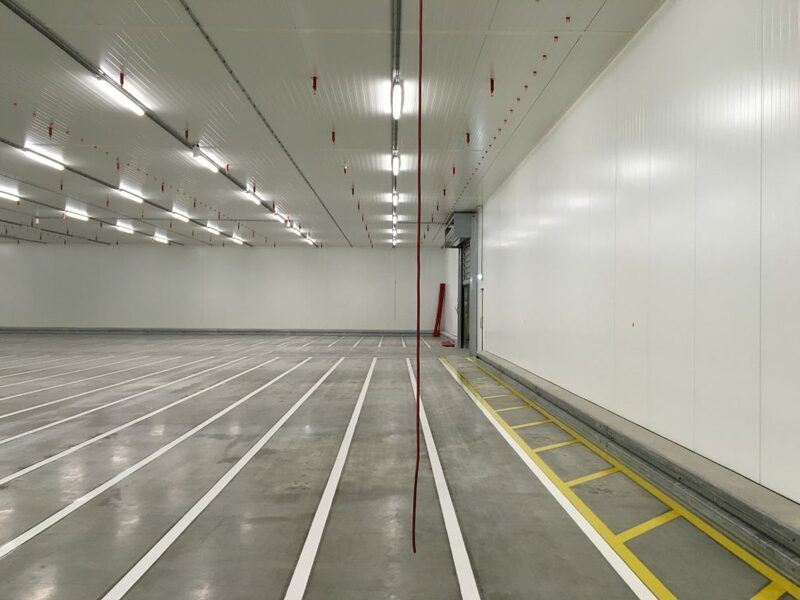 Using our insulated panels in plenum ceilings with ducts, we create a separation for you between storage of the cheese and the climate control equipment. This enables you to control conditions as best as possible and thus create a constant temperature and humidity. Do you also have special wishes and requirements concerning fire safety and architecture, in addition to foodsafe and thermal insulation? Based on our knowledge and experience, we have developed a construction concept for every application. We can integrate the different concepts effortlessly in a single total, customised concept. Roma advises and thinks together with you in the design, and constructs your room or industrial building. 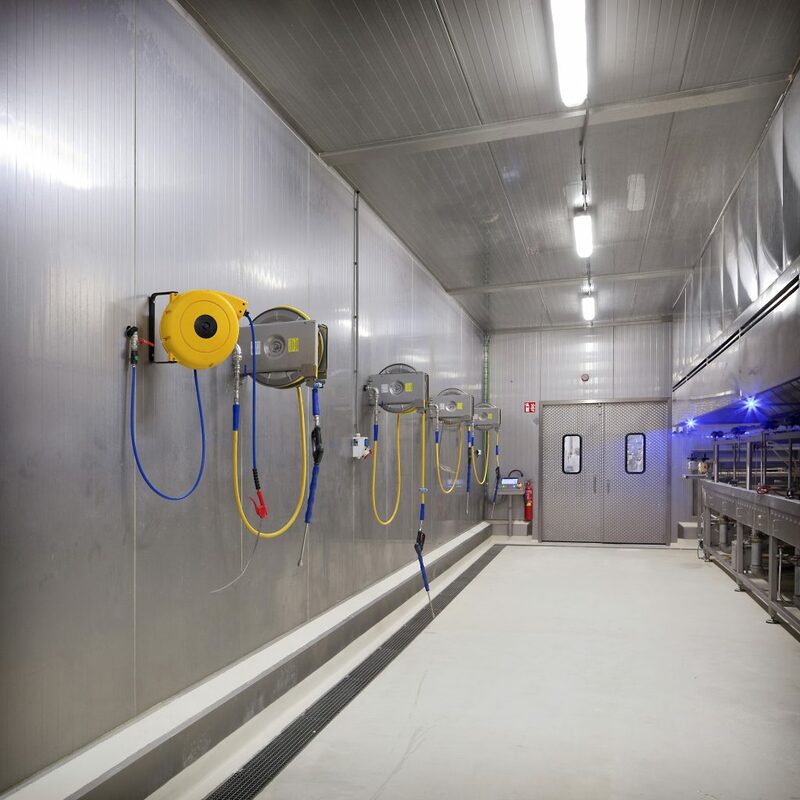 Would you like to know how you can create the optimum conditions in your cheese production plant or other temperature-controlled rooms? Together we will look of examine? at the possibilities for solving your issues. To maintain the taste of fresh bread and pastries for a long time, the right conditions are essential. Temperature and humidity are the major factors in the production, rising of the dough and storage. OF: In production, dough rising and storage, controlled temperature and humidity play the main role. Due to the high values, hygiene and a vapour-proof finish require extra attention. What do you do to exclude corrosion, bacteria and vermin? 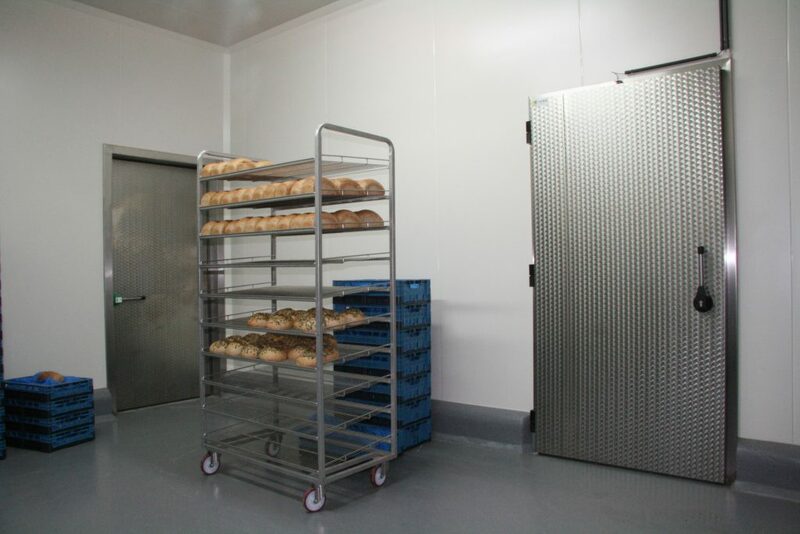 Roma offers customised insulated construction for industrial and larger traditional bread and pastry bakers. 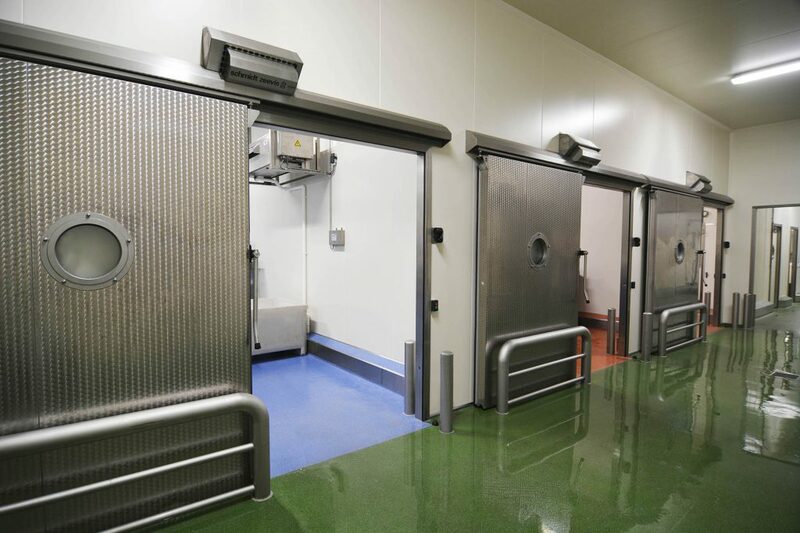 We are able to build your project rapidly, thanks to our extensive project management, expertise and solutions for door technology and foodsafe protection of walls, doors and floors. Do you also have special wishes and requirements concerning thermal insulation, fire safety and architecture, in addition to foodsafety? Using our knowledge and experience, we have developed a construction concept for every theme. We can integrate the different concepts effortlessly in a single total, customised concept. Roma advises and thinks together with you in the design, and constructs your bread or pastries bakery. Would you like to know how you can save valuable time in the construction of your industrial or artisanal bakery? Do you want optimum security when it comes to foodsafety or other aspects? Please contact us. Together with you, we can jointly examine the possibilities. The optimum processing, sorting and storage of your potatoes, vegetables and fruit require more than just a controlled temperature. Conditions such as Ultra Low Oxygen (ULO), Controlled Atmosphere (CA), Dynamic Controlled Atmosphere (DCA), air flow and relative humidity can also be involved. be involved of play a role? Creating and preserving OF maintaining the correct conditions also require prudent choices when it comes to doors and door technology. 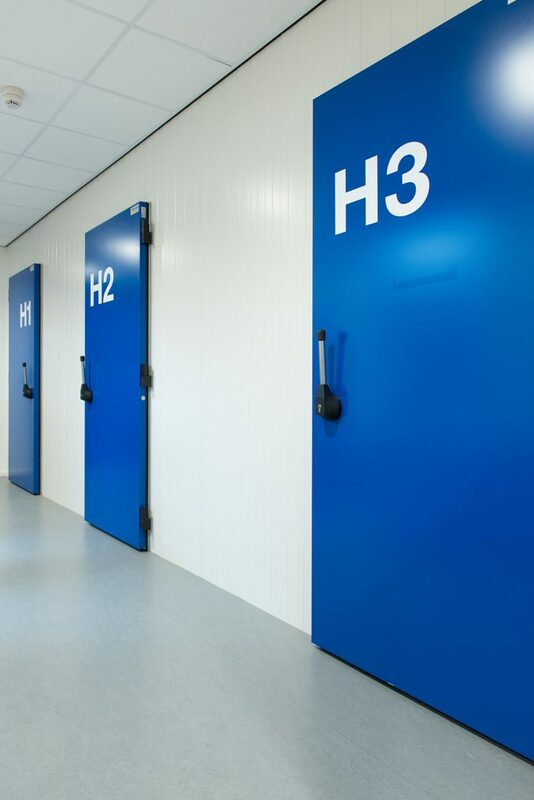 The number of applications has grown swiftly and the dimensions of the door openings of fruit storage cells are continuing to increase. At the same time, the requirements for leak tightness remain just as strict. How do you deal with this? 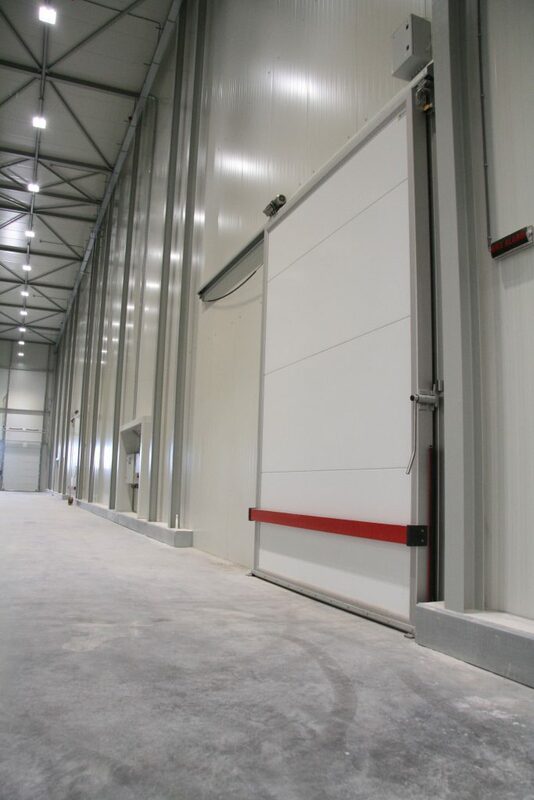 Roma offers customised insulated construction for the AGF sector. Also for environments with high demands. Thus we build cold storage for the gastight storage of fruit, flower bulbs and seeds. But we also make temperature-controlled production rooms, cutting and sorting rooms. 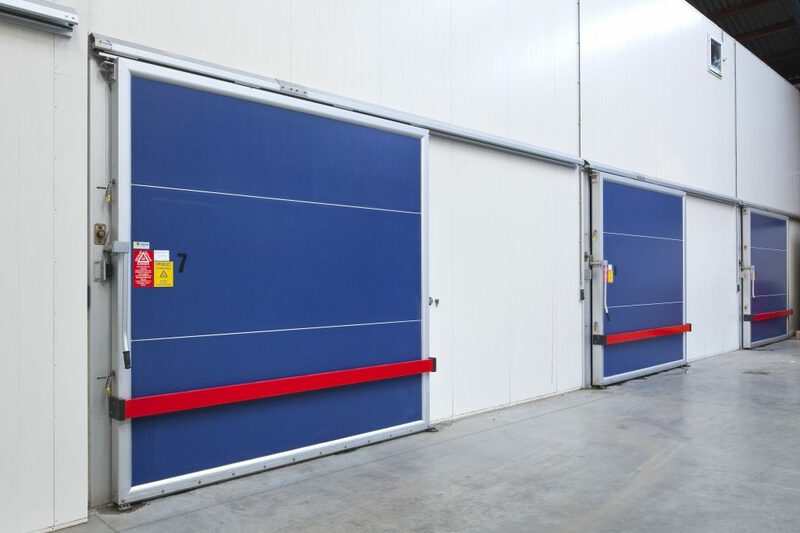 Many vegetable and fruit growers, wholesalers and auction houses rely on Roma as manufacturer and installer of coldstore and gastight doors. Roma’s ULO sliding doors have been tried and tested worldwide and are known for their high quality and robustness. We apply all our insulated construction concepts in the AGF sector. What stands out, of course, is the guaranteed gastight concept for ULO cells with a guarantee for leakage tightness of 0.2 cm²/100 m³ for 5 years. Do you also have special wishes or requirements concerning fire safety or architecture, in addition to insulation? Using our knowledge and experience, we have developed a construction concept for every theme. We can integrate the different concepts effortlessly in a single total, customised concept. Roma advises and thinks together with you in the design and constructs your industrial building for handling and storage of vegetables and fruit. Are you curious about how Roma isolatiesystemen can solve your insulation issues? Please contact us free of obligation. Together with you we can work on a long-term solution. One of the challenges in the storage and distribution sectors is bringing temperature-sensitive products to the correct and constant temperature and maintaining that temperature. The freshness must be kept at the right level. From conditioning, repacking, labelling and transporting through to delivery. Retaining the cold chain is part of an optimum logistics process. Designing a logistics temperature-controlled room is not easy. How do you prevent condensation and ice formation? What is a good routing technique? Take a look together with the Roma's insulated construction specialists at the possibilities and the pitfalls. They will give you the best advice, right from the design phase. That is how you can design and construct your ideal distribution centre, together with Roma. Especially for wholesalers, supermarkets and refrigerated and frozen warehouses, Roma builds customised when it comes to temperature-controlled buildings. We think together with you in the design and construction of your ideal storage distribution building, refrigerated or frozen warehouse. With a view to your logistics process, sustainability and guarantee of quality, Roma developed insulated building concept. Our specialists help you to achieve the credits for your BREEAM certificate. Or to achieve the N-50 standard for airtightness. Roma also draws in BIM and builds using sustainable insulated panels for which a European Environmental Product Declaration (EPD) is available. 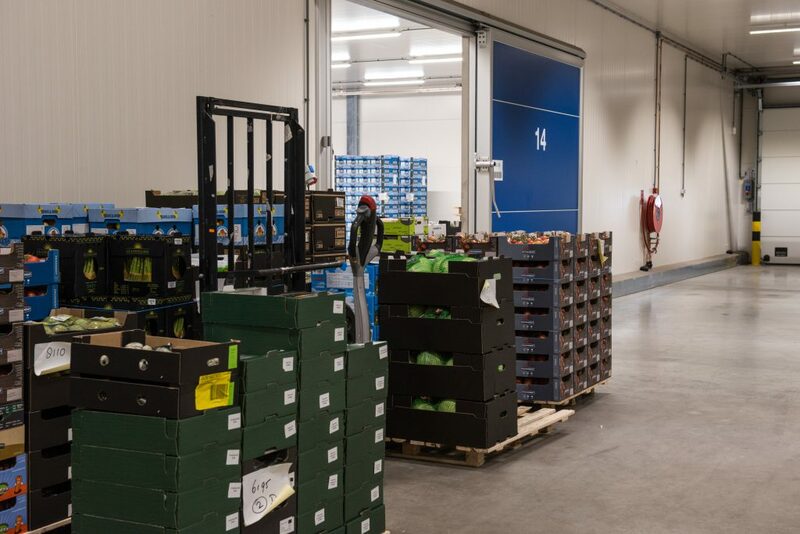 Because we also take research, innovation and support into consideration, we are an associated member of the Association of Dutch Refrigerated and Frozen Warehouses (NEKOVRI). Are you curious about how you can maintain the quality of your products through the sustainable insulated building concepts from Roma? Now and in the future? Please contact us free of obligation. Together with you, we can jointly examine the possibilities. The optimum processing of meat and processed meats requires more than just a low temperature. Ventilation, humidity and cleanability are at least as important. Strict legislation and regulations on hygiene set a challenge. As do the requirements of speed and flexibility for your logistics processes. How do you deal with this? 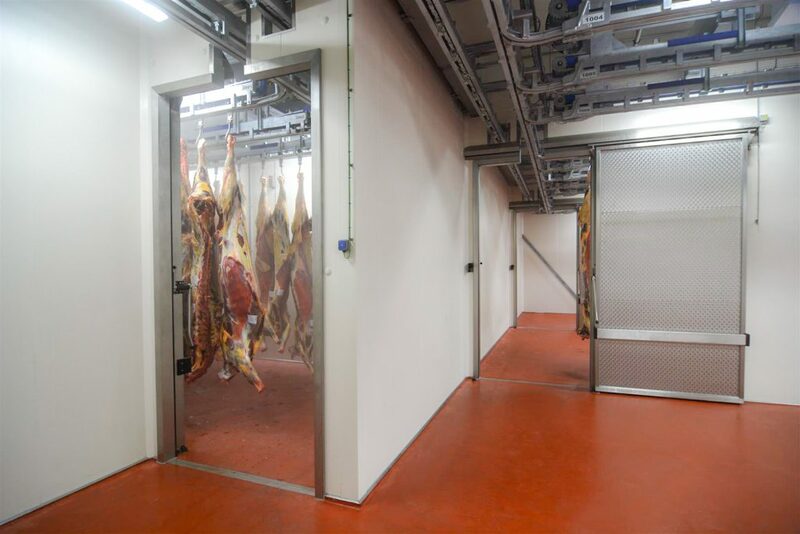 Roma offers customised insulated construction especially for slaughterhouses, wholesalers and producers in the meat processing industry. We think together with you in the design and construction of insulated constructions for slaughterhouses and boning plants, among other things. 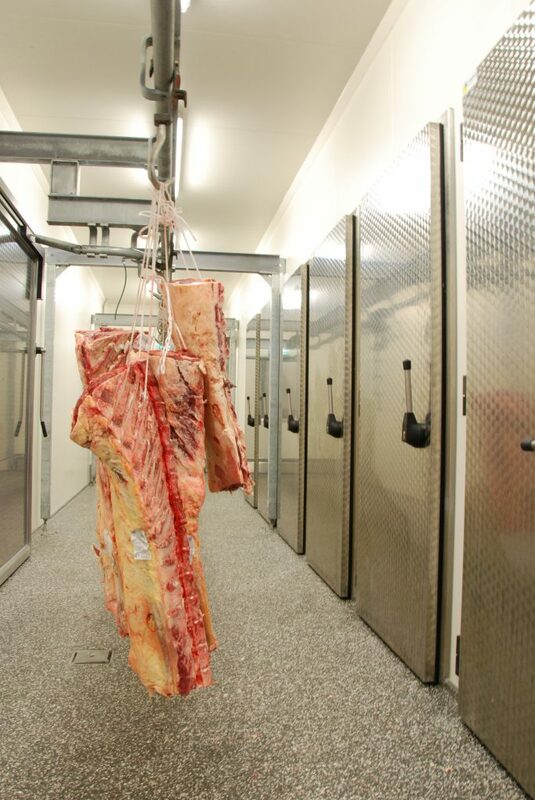 With a view to hygiene and quality preservation, Roma isolatiesystemen developed the foodsafe building concept. The sustainability of your production and storage is another important starting principle. Do you also have special wishes or requirements concerning thermal insulation, fire safety or architecture, in addition to foodsafety? Using our knowledge and experience, we have developed a construction concept for every theme. We can integrate the different concepts effortlessly in a single total, customised concept. Our technicians advise you in the design, and our assemblers build your industrial meat processing plant. Are you curious about how Roma isolatiesystemen's insulated construction concepts can help you to retain the continuity in your business or achieve your growth plans? Please contact us. Together with our specialists you can examine the possibilities and make well-founded decisions. Fresh food composite products and semi-finished products form an important part of the convenience food and snack sector. To prevent cross-contamination, separate zones for production are required. How can you continue to manage the conditions in the various areas? How can you satisfy strict hygiene requirements? You do not want to make concessions in the internal logistics of the different rooms. How do you take the different conditions of all your different products into consideration? Roma has the answers for all your insulated construction issues. Roma isolatiesystemen offers customised insulated construction for producers of convenience food and snacks. 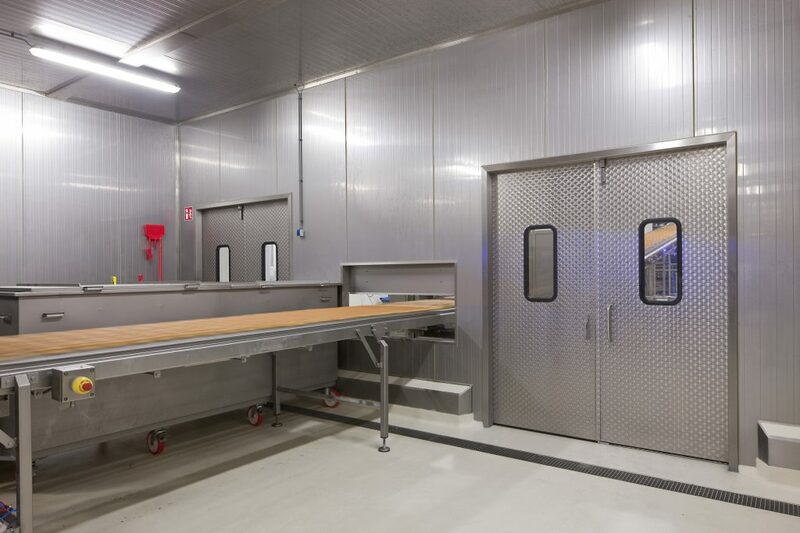 With a view to strict hygiene requirements, we developed the foodsafe building concept. We also think along with you about a suitable routing technology and a thermal bridge-free design. For instance, you can increase your flexibility by using insulated walls that easily can be disassembled. Do you also have special wishes and requirements concerning thermal insulation, fire safety and architecture, in addition to foodsafety? Using our knowledge and experience, we have developed a construction concept for every theme. We can integrate the different concepts effortlessly in a single total, customised concept. 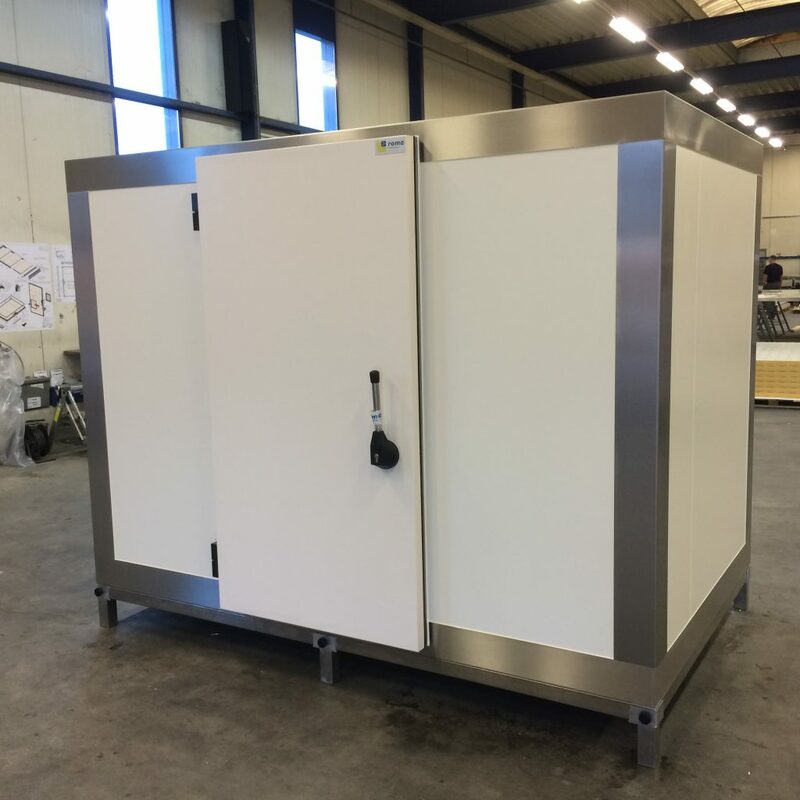 Our technicians advise and think together with you in the design, and our assemblers build your food processing room or food assembly factory. Are you curious about how you can maintain the quality of your products? Now and in the future? Please contact us. Together with you, we can jointly examine the possibilities for your temperature-controlled room or building. Producing and distributing in accordance with GMP and GDP guidelines is an absolute core requirement in the life sciences health sector. Hygienic construction is an important factor in this. 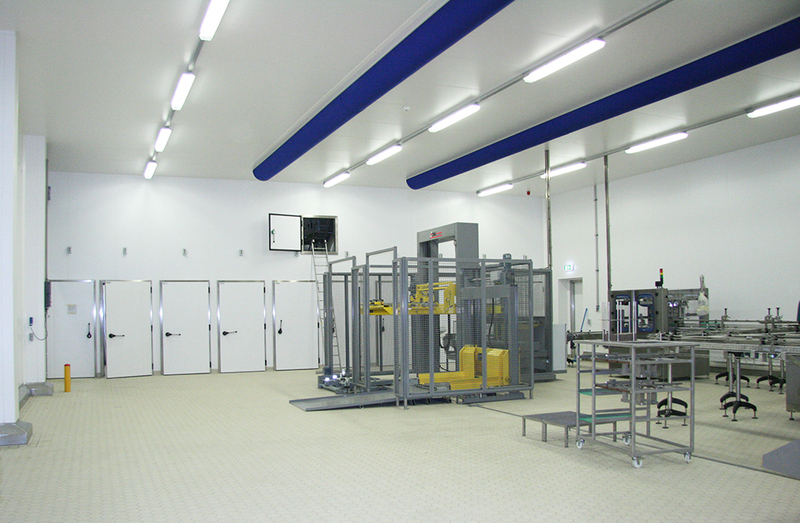 Are you looking for a high-quality finished, temperature-controlled manufacturing hall for production and testing facilities? Our building concept offers insulated smooth walls, ceilings, High-Care doors, profiles and windows with a hygienic finish. Roma builds and produces customised insulated construction systems for organisations in the Life Sciences and Health sector such as biopharmaceutical and pharmaceutical companies and biotechnology companies. The application targets the combination of thermally insulating, hygienic and fire-resistant building solutions for rooms, housings or enclosures subject to special conditions. Do you also have to deal with special wishes and requirements concerning fire safety and architecture, in addition to GMP and GDP guidelines? Using our knowledge and experience, we have developed a construction concept for every theme. We can integrate the different concepts effortlessly in a single total, customised concept. Our technicians advise and think together with you in the design, and our assemblers build your insulated medicine or pharmaceutical storage. Do you want optimum certainty about hygiene and safety when it comes to your temperature-controlled room? Contact the specialists at Roma. Together with you, we can jointly examine the solutions for your issues. The optimum and efficient processing of fish and shellfish requires more than just a low temperature. Ventilation and humidity are also important. Surfaces have to be protected against the effects of salt and cleaning. All this while hygiene requirements become increasingly stricter. What does this mean for your temperature-controlled rooms? Specially for the fish shellfish industry, fish processors, wholesalers and fish auctions, Roma isolatiesystemen offers customisation when it comes to insulated construction systems. We think together with you in the design and construction of insulated constructions for filleting rooms, refrigerated warehouses or freezer warehouses, among other things. With a view to hygiene and quality preservation, Roma isolatiesystemen developed a specific building concept. With solutions for doors, windows and finish. Are you curious about this foodsafe building concept? Click the yellow action button below. Do you also have special wishes or requirements concerning thermal insulation, fire safety or architecture, in addition to foodsafety? Using our knowledge and experience, we have developed a construction concept for every theme. We can integrate the different concepts effortlessly in a single total, customised concept. Our technicians advise and think along with you in the design, and our assemblers build your industrial fish or shellfish processing building including storage. Are you curious about how Roma isolatiesystemen’s insulated building concepts can help you to retain the continuity in your business or achieve your growth plans? Please contact us. Together with our specialists you can examine the possibilities and make well-founded decisions.